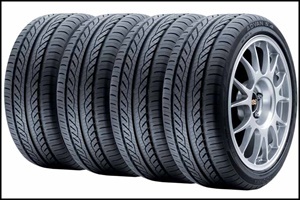 Since 1989, Adelphia Auto and Tire Service has provided motorists in the Lighthouse Point / Pompano Beach area with comprehensive auto repair services. Our goal is to offer the vehicle repair services available at affordable prices to get you back on the road in no time. You will be hard pressed to find the same level of expertise that our auto mechanic specialists provide. We have many years of experience working on both domestic and foreign vehicles of all makes and models and can work with you to find cost effective repair and maintenance alternatives. 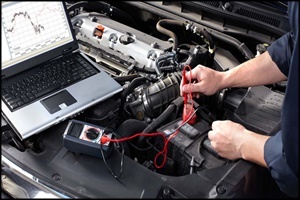 We offer quality auto repair in Pompano Beach at a reasonable and fair price. Chances are if your vehicle is in need of a repair or scheduled maintenance, this simple solution at Adelphia Auto and Tire Service is what you are looking for. Though it should not be so hard, finding reputable, fair priced auto repair in Pompano Beach can be a real test of your patience and endurance. With so many car repair shops competing for your business, where should you go for repair and regular maintenance of your car, truck or SUV? We are located in Lighthouse Point just minutes from Pompano Beach, Deerfield Beach and Fort Lauderdale and have been servicing the automotive needs of our customers for more than 27 years which certainly is a true test of time. At Adelphia Auto and Tire Service, we roll out the full red carpet to welcome you to our shop. We are proud of our neighborhood feel and world class service which we feel is second to none for car repair in Pompano Beach. We repair all makes and models of domestic and foreign vehicle brands. Our business has withstood the test of 3 decades by holding true to our promise of treating our customers like they are family. When we get started on your vehicle repair needs, we run a thorough assessment using advanced technology and old school know how. Next we will request your approval for the needed or suggested work. Once you approve, our ASE Certified Mechanics will perform all the auto repair services your vehicle needs right in our local Lighthouse Point vehicle repair garage. Then, we will test it again just to make sure we got it right. This is how we would like our family to be treated when seeking auto repair in Pompano Beach so this is how we vow to treat you. More than just a promise, most work can be done same day.